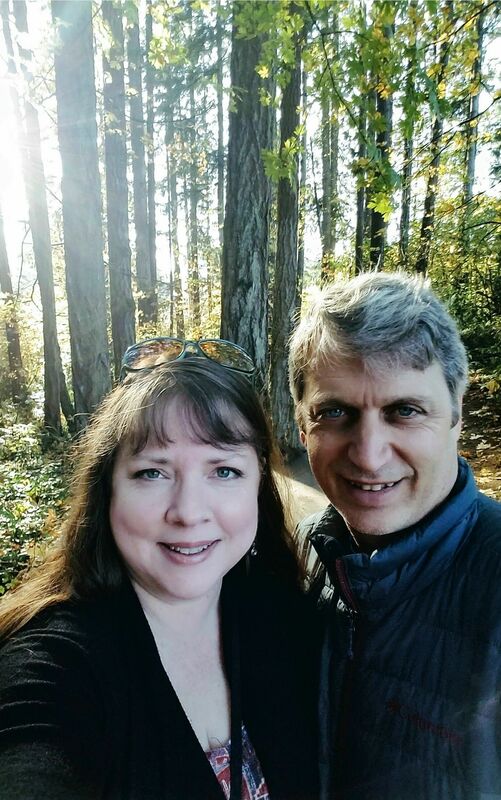 A few weeks ago, Renée and I had the opportunity to attend the fifth annual Portland TOAST, an annual artisan spirits tasting hosted by the Oregon Distillers’ Guild and the Oregon Distillery Trail. 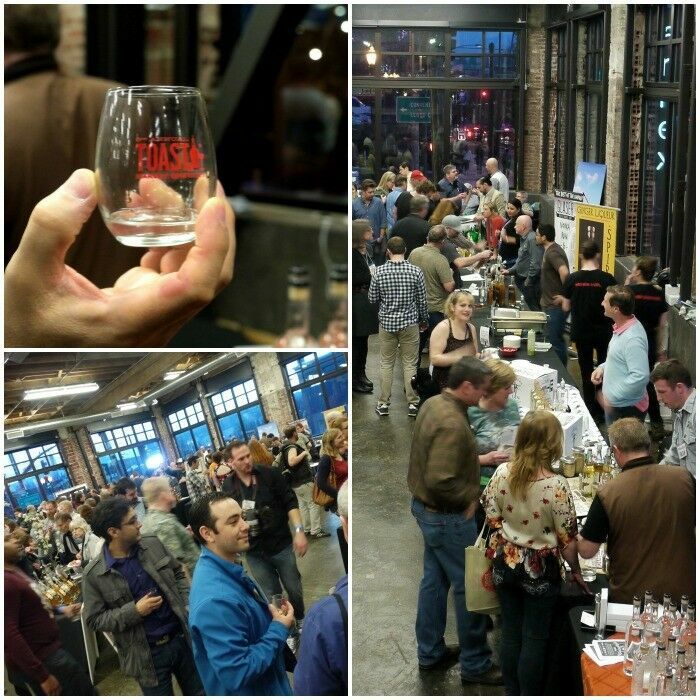 A gathering of over 40 micro-distilleries and craft labels from around the Pacific Northwest, the event offered attendees access to sample an amazing selection of spirits. One of the first tasting stops we made was at Wild Roots Vodka, distilled and bottled in Hillsboro, Oregon. We sampled, among other things, their Marionberry-infused vodka: smooth and not overly sweet, this would be equally fantastic served straight, or in a mixed drink. Serve over ice and garnish with a lime slice. One highly anticipated event of the evening was the unveiling of the Oregon Starka Project. Named for the old Russian custom of burying a barrel of vodka when a child is born and digging it up to serve on their wedding day, the Oregon Starka Project is the result of a unique collaboration between three Portland distillers: Ted Pappas of Big Bottom Distilling [current president of the Oregon Distillers’ Guild], Lee Medoff of Bull Run Distillery, and John Ufford of Indio Spirits. Each of the Starka Project distillers created an exclusive variation of Starka by aging finished vodka in specific barrels that are distinct to that producer – Zinfandel casks [Big Bottom], Oregon pinot noir and rye barrels [Bull Run], and Rye barrel with French oak with apple wood staves [Indio Spirits]– and the resulting vodkas each took on its unique flavor notes. Taking the opportunity to sample the trio, I’d have to say that Indio’s French oak offered the smoothest (and to my taste), best result. From our experience, it’s clear that Oregon distilleries are on the rise. One out of every three distillers we talked to had opened their doors in the last two years; moreover, a dozen distilled spirits permits are on file and in the process of opening, and the state now boasts 47 small distillers, making it number five in the country. One distillery hit home for me personally: as a Navy veteran, I was touched by the story behind 4 Spirits Distillery. 4 Spirits Distillery is named and dedicated to four combat soldiers who served in the Oregon National Guard 2nd Battalion, 162nd Infantry Brigade. These four men lost their lives while serving in Bagdad, Iraq. 4 Spirits founder Dawson Officer, who served with these fallen soldiers, has pledge to honor their courage and sacrifice by donating a portion of proceeds to local veterans groups. Raft Syrups were a standout of the evening as well. One of the only “virgin” offerings of the event, Raft’s slow-brewed botanical syrups brought a national Good Food Award home to Oregon this year, with its Lemon Ginger and Hibiscus Lavender Syrups. With so many, many tasty choices, it was tough to pick a favorite to take home. We narrowed the field by agreeing on something sweet. We both loved Spiritopia’s ginger liqueur, which is made in Corvallis from organic Peruvian ginger. With just the right amount of sweet, it packs a spicy hot punch that is amazing. But since we make our own ginger syrup and can mimic that flavor profile ourselves, we opted for a bottle of Glaser Distillery’s delicious Butterscotch liqueur instead. As you might imagine, these are only a few of the exceptional spirits that were on hand at TOAST 2o15. Other standouts included Townsend Tea’s Spice Tea Liqueur, Stone Barn Brandyworks Apricot Brandy, and of course those awesome little guacamole bites from Stella Taco. So that’s TOAST 2015. Looking forward to what I find in my glass next year! DISCLOSURE: As always, many thanks to my beautiful wife for all her help putting this post together and for taking all these awesome pictures. Thanks also to the Oregon Distillers Guild and Little Green Pickle for providing us with a VIP ticket to attend. Great recap!! I was at Toast too and loved seeing your photos. I loved the Raft Syrups! The starka tradition is fascinating! We have a little one due in July but I doubt we’ll end up burying a barrel… ha! It really was amazing how much liquid deliciousness there was all in one room at TOAST, wasn’t it? All sounds delicious! So cool how many wonderful food and drink products are coming out of Oregon these days. Local food is the best!